The Valley has no shortage of stars. Some of the world’s most iconic athletes are living amongst the mountains here. See who’s buying luxury real estate. And who’s selling. 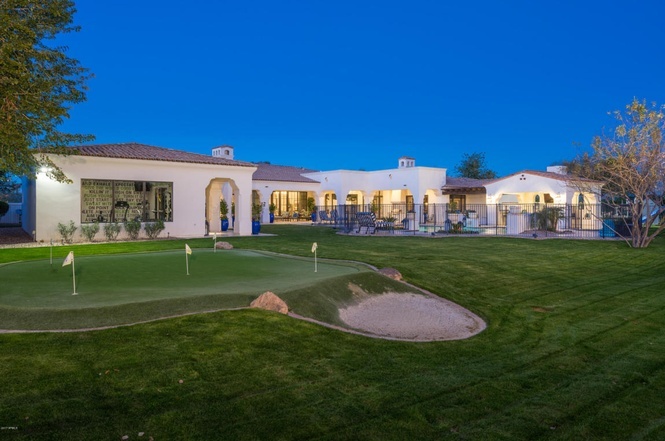 Flip through the slideshow to see the 10 Major Athletes in the Phoenix Luxury Real Estate Market for 2017. Billy Butler sold his 8,500 square foot estate in the Judson neighborhood, tucked away at the edge of Camelback Mountain. There are seven bedrooms and seven-and-a-half baths in the Spanish style mansion, along with a Fenway Park-themed “man cave.” The home’s kitchen is appointed with a wine dispenser, wet bar, and butler’s pantry with a Sub-Zero wine unit. Two outdoor kitchens can be found in the made-for-entertaining backyard, along with an outdoor shower, putting green, basketball court, and private pool and spa. Click the page numbers in red below to see the next slide.